This badge holder can identify the major IBM i software and hardware components and can access and communicate with this system. This person has a solid understanding of database environments, and a higher level of experience with IBM Query for i, performing calculations, and sorting on extracted database information to form summary and detailed reports. 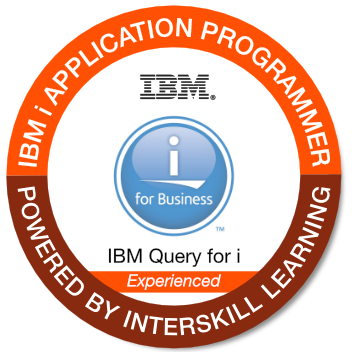 They can also create detailed Query report criteria, and manage existing queries using the IBM i Query panels.